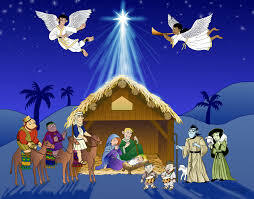 The pupils and staff of Glencorrib National School, would like to wish everyone a very happy and safe Christmas. The school will re-open on Wednesday the 6th of January, 2016. 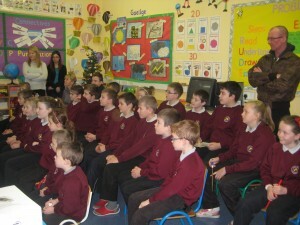 Swimming lessons for 1st to 6th class, will commence on Tuesday the 12th of January. Have a look at our wonderful actors who took part in our Christmas play entitled “A Mid Wife Crisis” on Tuesday the 15th of December, in the Glencorrib Community Centre. 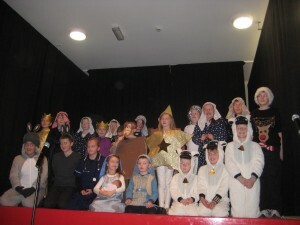 Thanks to all the children who worked so hard to provide such a hilarious and entertaining performance. 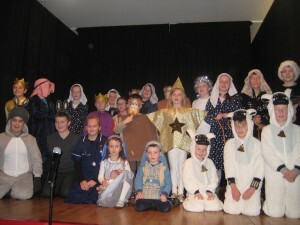 A special thanks to all who helped with the children with their costumes – they looked fantastic! 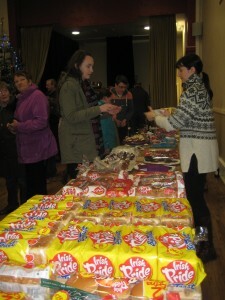 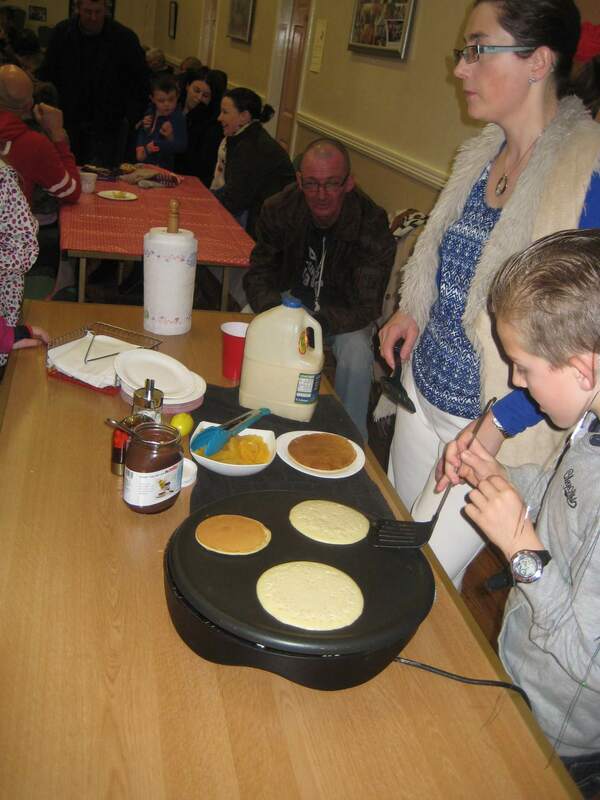 Finally, thanks to all who attended the play and who generously supported our raffle on the night. 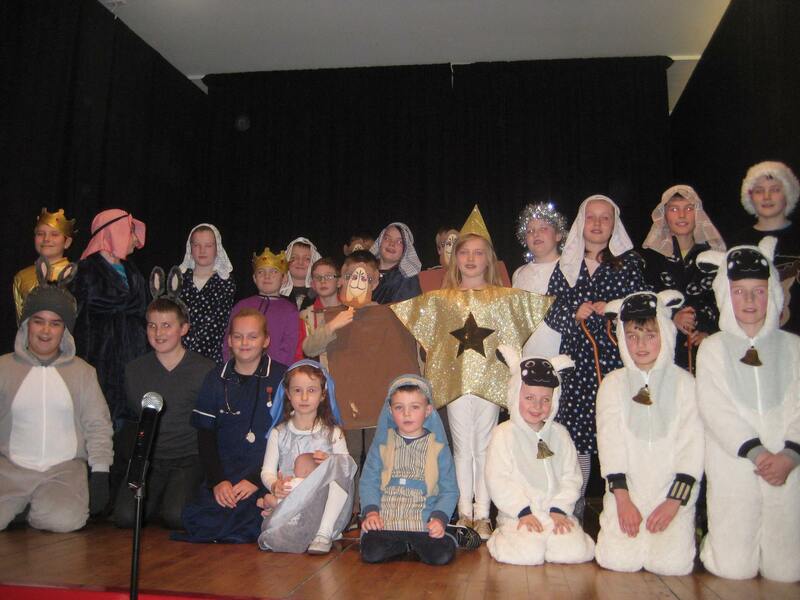 We are very busy preparing for our Christmas Play, entitled “A Midwife Crisis” which will take place in Glencorrib Community Centre on Tuesday 15th December, 2015 at 7.00 pm. 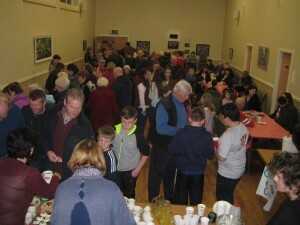 We are all very excited and look forward to seeing you there for a wonderful night of entertainment. 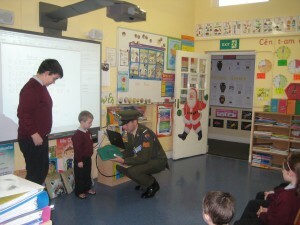 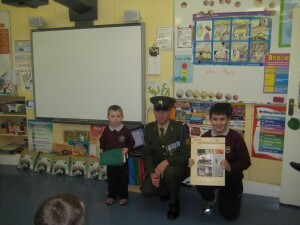 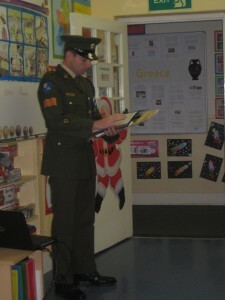 The children of Glencorrib National School were delighted to host a member of the Irish Army on Tuesday 8th of December. 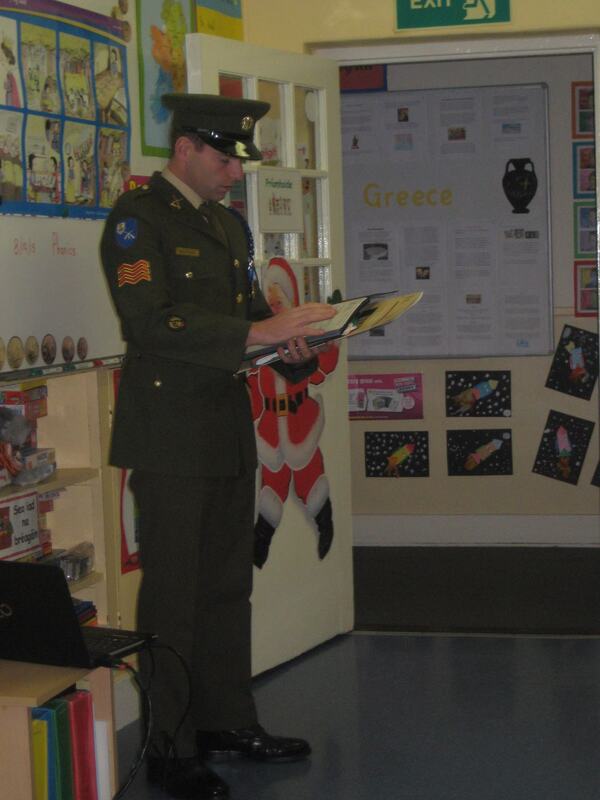 During the ceremony, the 6th class played the National Anthem, Amhran na bhFiann on the tin whistle. 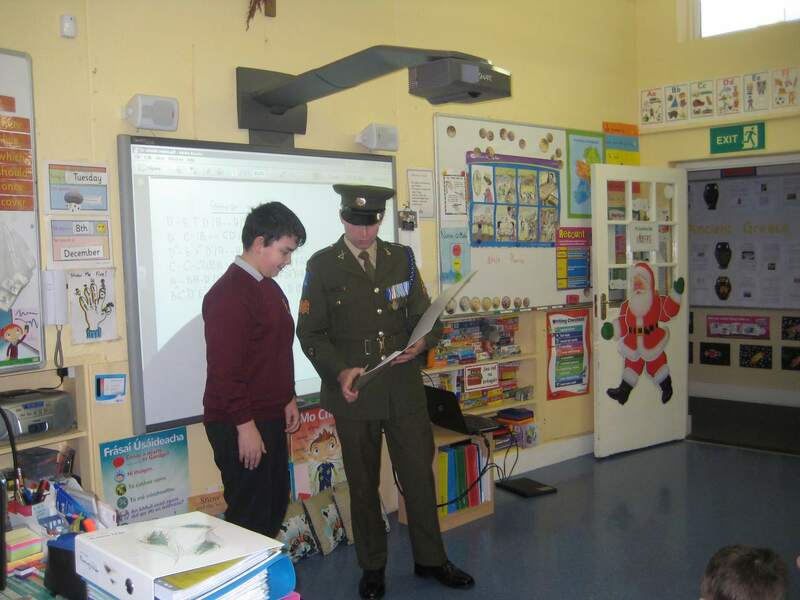 Darren helped to read the 1916 proclamation and Cathal received the Irish flag from our special visitor, Sargent Grufferty; who came with a special message, and special gifts for the school. Ireland will celebrate the 100 years since the 1916 rising next year, 2016. 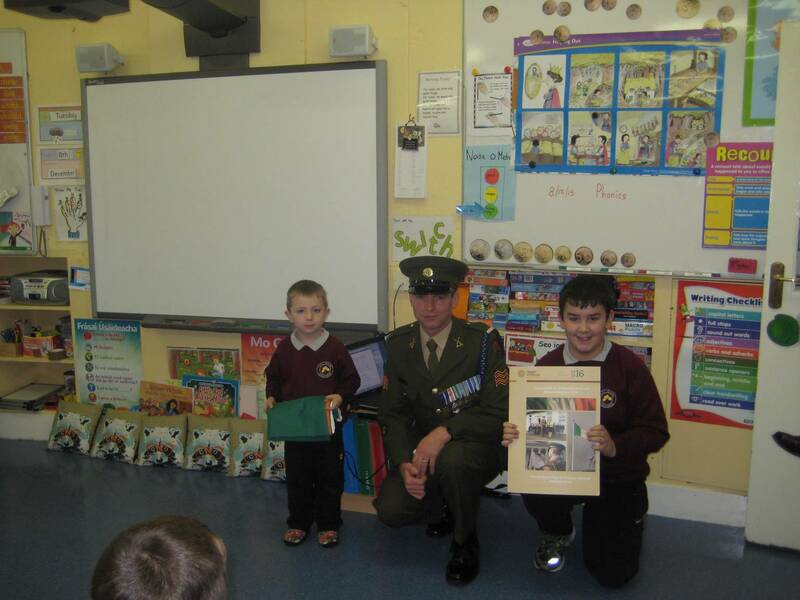 Children across Ireland will take part in writing a new proclamation for 2016, and will develop their understanding of Irish history including that of the Irish flag. 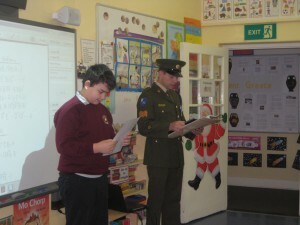 A copy of the 1916 proclamation and an Irish flag. 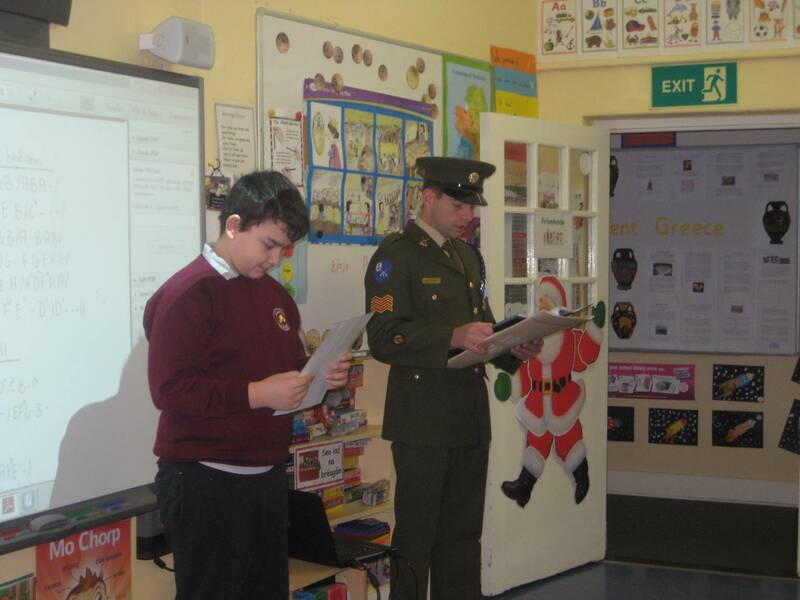 We, as a school, look forward to writing our own school proclamation and on Tuesday the 15th of March 2016, we will join with every other school in the country in raising the Irish Flag as part of the Centenary Celebrations. 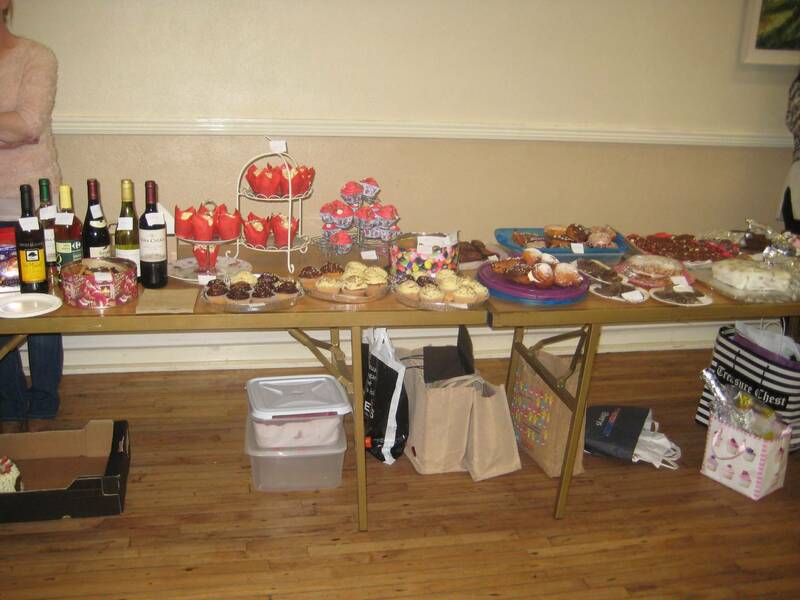 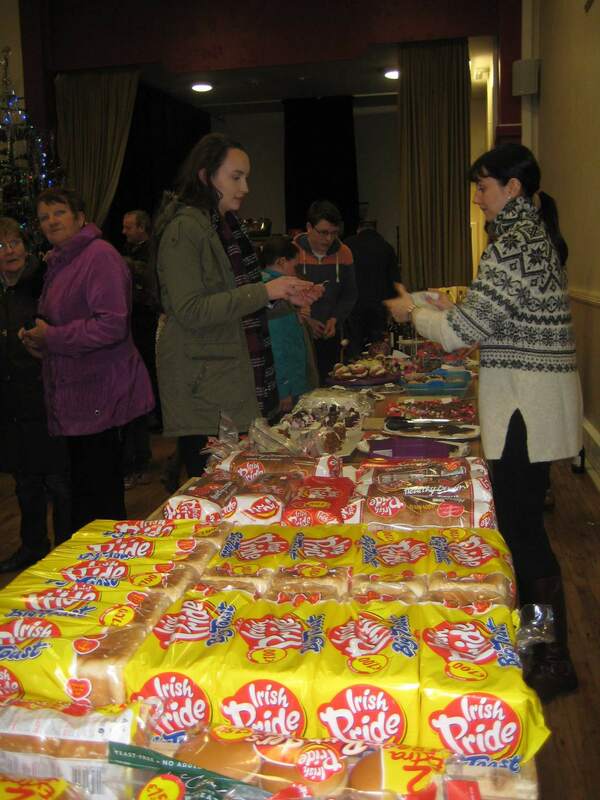 The staff and Board of Management of Glencorrib National School would like to thank everyone who attended and supported the Annual Cake Sale on Sat 28th November.